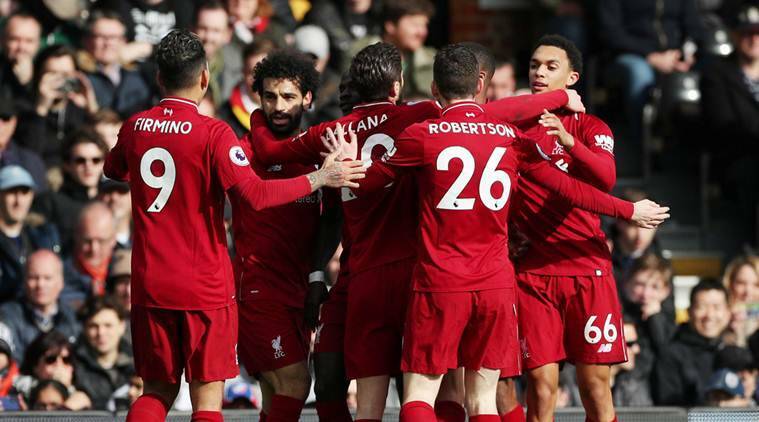 Liverpool vs Chelsea Football Live streaming: The relentless pressure of the Premier League title race with defending champions Manchester City could bring out the best in Liverpool’s players during the final part of the campaign, former defender Sami Hyypia said. Liverpool are seeking to win a first English league title since 1990 and lead City by two points, although they have played one match more than Pep Guardiola’s in-form side. “I think pressure is a good thing. When I played, I felt the pressure and I was nervous before games but that brought more out of me,” Hyypia, who spent 10 years at Liverpool and won the Champions League in 2005, told Liverpool’s website. When is the Premier League match between Liverpool vs Chelsea? The Premier League match between Liverpool vs Chelsea will take place on Sunday, April 14, 2018. Where is Premier League match between Liverpool vs Chelsea? The Premier League match between Liverpool vs Chelsea will be played at the Anfield Stadium in London. What time does the Premier League match between Liverpool vs Chelsea begin? The Premier League match between Liverpool vs Chelsea will begin at 9:00 PM IST. Which TV channels will broadcast the Premier League match between Liverpool vs Chelsea? The Premier League match between Liverpool vs Chelsea will broadcast on Star Sports Select 1, Star Sports Select 2 HD. How do I watch online live streaming of the Premier League match between Liverpool vs Chelsea? Premier League match between Liverpool vs Chelsea live streaming will be available on Hotstar. You can catch live scores, live updates and live commentary on IndianExpress.com.